Our range of C20 to C19 power cables are available in locking & angled variants as well as standard 16Amp & 20Amp extensions. With a choice of lengths from 0.5 Metres to 5 metres. C19 - C20 IEC 60320 Power Jumper Cables There are 30 products. High grade IEC C20 - C19 extension power leads, commonly used with UPS or PDU's (Power Distribution Unit) to active server or hardware equipment. Available as 16 Amp PVC or LSZH (Low Smoke Zero Halogen) 15Amp variants. 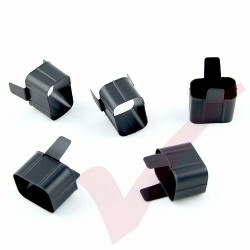 These C19 and C20 secure sleeves help prevent power cables from active networking equipment such as servers, PDU's and UPS from accidently being dislodged. 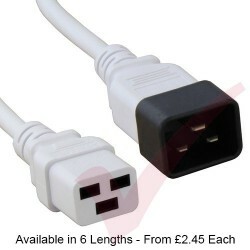 Large range of Kettle Extension Power Cables are available next day from our local stock. 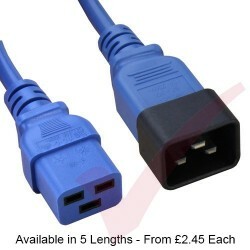 C19 - C20 IEC cables are available in 7x different lengths These are commonly used to either extend an existing C19 - C20 power cable, or to connect directly from a Power Distribution Unit (PDU) or UPS to any active hardware and server equipment with C19 outlets. 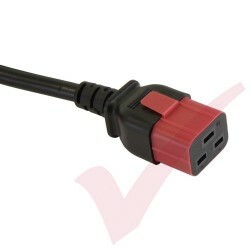 Large range of Kettle Extension Power Cables are available next day from our local stock. 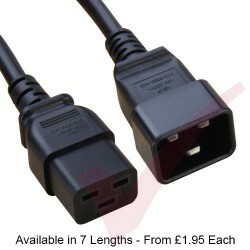 C19 - C20 IEC cables are available in 7x different lengths. 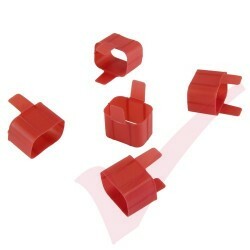 These are commonly used to either extend an existing C19 - C20 power cable, or to connect directly from a Power Distribution Unit (PDU) or UPS to any active hardware and server equipment with C19 outlets. These Low Smoke Zero Halogen (LSZH) power cables are manufactured for enhanced performance and fully tested to conform to UK standards. 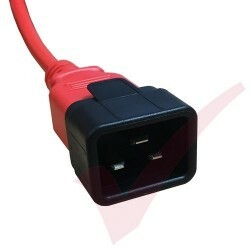 They are commonly used to either extend an existing C19 - C20 power cable, or to connect directly from a Power Distribution Unit (PDU) or UPS to any active hardware and server equipment with C19 inlets. These power cables are commonly used between a High-End PDU and Server in a data cabinet. The fluo green colour helps distinguish different cables in a high density installation. 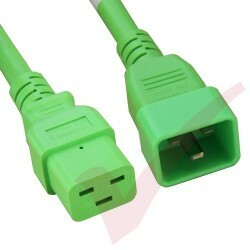 Consider using Green cables to denote alternate power paths especially in redundant applications. Premium 12/3 AWG SJT cable is rated for 20 amps and up to 105 Degrees Celsius. 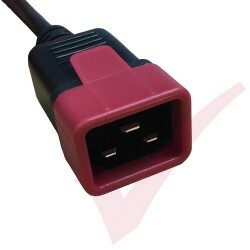 These power cables are commonly used between a High-End PDU and Server in a data cabinet. 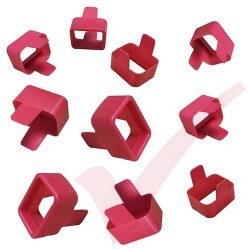 The pink colour helps distinguish different cables in a high density installation. 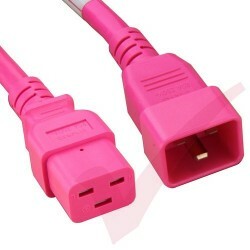 Consider using Pink cables to denote alternate power paths especially in redundant applications. Premium 12/3 AWG SJT cable is rated for 20 amps and up to 105 Degrees Celsius. 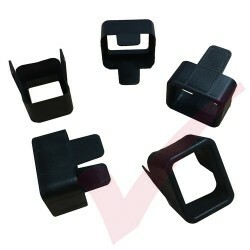 These power cabless are commonly used between a High-End PDU and Server in a data cabinet. 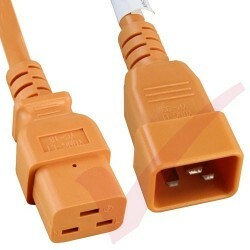 The orange colour helps distinguish different cables in a high density installation. Consider using Orange cables to denote alternate power paths especially in redundant applications. Premium 12/3 AWG SJT cable is rated for 20 amps and up to 105 Degrees Celsius. These power cables are commonly used between a High-End PDU and Server in a data cabinet. 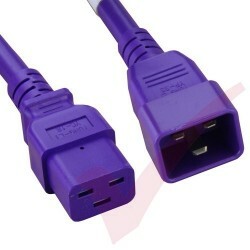 The purple colour helps distinguish different cables in a high density installation. Consider using Purple cords to denote alternate power paths especially in redundant applications. Premium 12/3 AWG SJT cable is rated for 20 amps and up to 105 Degrees Celsius. These power cables are commonly used between a High-End PDU and Server in a data cabinet. The yellow colour helps distinguish different cables in a high density installation. 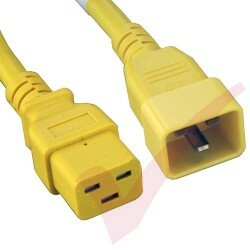 Consider using Yellow cords to denote alternate power paths especially in redundant applications. Premium 12/3 AWG SJT cable is rated for 20 amps and up to 105 Degrees Celsius. These power cables are commonly used between a High-End PDU and Server in a data cabinet. Consider using different coloured cables to denote alternate power paths, especially in redundant applications. Premium 12/3 AWG SJT cable is rated for 20 amps and up to 105 Degrees Celsius.